He urged the Government to close public houses during the war, as long as reasonable compensation was given and provision made for those who would lose employment as a result. This was not simply a call for temperance, however, but was a sermon in the name of patriotism as less drunkenness meant “less disorder, and more efficiency.” Some of the largest employers in Wolverhampton were in favour of greater restrictions on public houses. Reverend Brown also referred to the soldiers in the trenches, “who accepted the heaviest losses, his own personal misfortunes, in complete cheerfulness, so long as he knew we are winning”. He suggested that those at home should be making similar sacrifices. He ended by calling those workers who “impairs his efficiency by either drunkenness of constant drinking” as traitors. 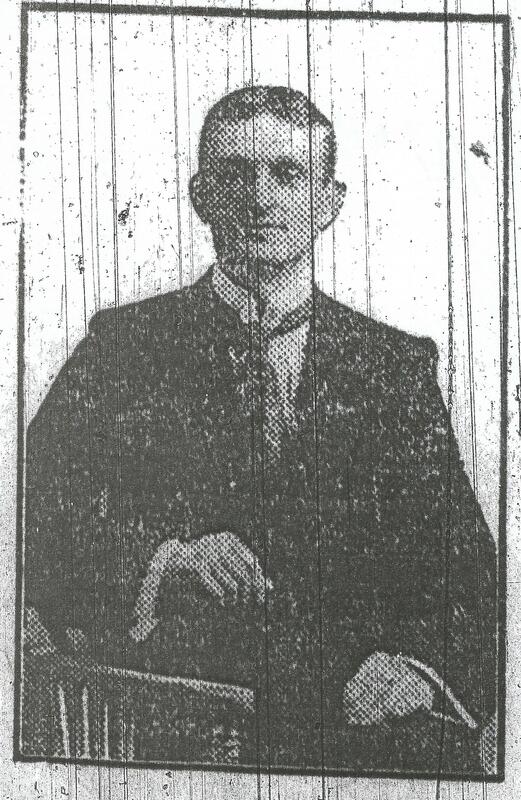 The son of William A. and Ellen Rhoden, Joseph was born in Wolverhampton in 1880. By 1911 he was a boarder in the home of Francis Summerhill at 48 Broad Street, Bilston. Joseph was working as a butter merchants’ groom. He married Jeannie Colvin on 28 March 1917 in West Derby. On 9 January 1900, Joseph enlisted in the 2nd Battalion of the Royal Welsh Fusiliers (number 6299). In September 1914 he received a gun shot wound to the head but recovered. He was killed in action on 28 November 1917. He is commemorated at the Tyne Cot Memorial, as well as on the memorial for the church of St Chad and St Mark. The Express & Star proudly proclaims on 2 January 1915 that a local young man, by the name of W. Bentley, who had emigrated to Canada several years previously, “has thrown up an important engagement to answer the call of his King and country.” Apparently his mother felt that he might have made a mistake in taking this choice, “suggesting he might get killed”, but his response was “I shall die doing my duty.” The article went on to state that Mr Bentley had been “connected with the telephone undertaking” whilst in Wolverhampton. It is this last statement that gives us a likely candidate for this man, as there is a 17-year-old William Bentley in the 1901 census who was a telegraph messenger. This man was born in Shifnal, Shropshire, in 1884. By 1901 he was at 95 Bright Street, Wolverhampton, together with his parents, John and Mary A. Bentley, brother Frank, sisters Rose and Sarah, and grandparents Jane and Thomas Penson. William Heathcote Bentley was born in 1885 and emigrated to Canada from Wolverhampton in 1912. He was the son of James and Ann Bentley of Wolverhampton. He survived the war, married and returned to Canada. He worked for the telephone company in Saskatchewan as an electrician and engineer. Thank you very much to William’s great-niece, who provided additional information about this man. Percival Dyson was born in Wolverhampton in 1897, the son of Thomas and Clara Dyson. In 1901 he was living at 114 Horseley Fields with his grandparents, Mathias and Sarah Dyson, his parents, his sisters Daisy and Gertude, and brother Thomas. Percival enlisted in the Durham Light Infantry (number 7360). On 9 February 1917, his name was listed in the Express & Star among the wounded, but he survived the war. In 1920 he married Sarah E. Cain, and the couple had four daughters – Annie, Doreen, Sheila and Elizabeth – between 1922 and 1936. Percival died in 1938 at the age of 41. Samuel Cartwright was born in Wolverhampton in 1897, the son of Samuel and Ada Cartwright. In 1901 they were at 54 Moore Street, together with Samuel’s brother, Isaiah, and sisters Elizabeth, Lucy, Maria and Mary. His father, Samuel, died at the age of 36 later that year. Charles Clinton was born in Wolverhampton in 1889, the son of Thomas and Harriet Clinton. In 1901 they appeared at 108 Sweetman Street, together with Charles’s siblings Elizabeth and Frank. In total, his parents had seven children, although four of them had died by 1911. In 1907, Charles enlisted with the 1st Battalion of the South Staffordshire Regiment (number 8366) and served in South Africa before the First World War, and he was listed as a private in this regiment in the 1911 census. He was killed in action on 3 November 1914 and is commemorated at the Harlebeke New British Cemetery in Belgium. 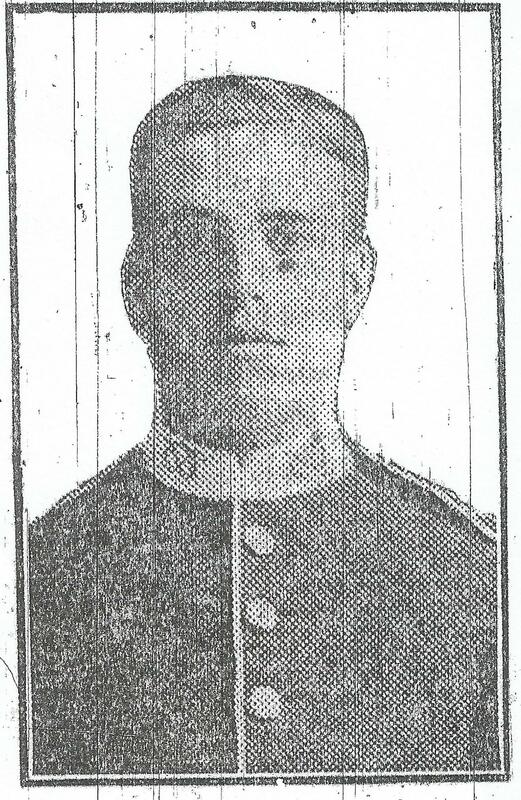 He appeared in the Express & Star on 19 January 1915. After Charles’s death, his father requested to receive his medals, by which date the family address was 32 Gough Street. A pension of £14 8s. 4d. was paid to the family. Thomas, the brother of Frederick Charles Banting, was born in Warwickshire in about 1889. In 1901 he appears alongside his family at 77 Gorsebrook Road. He later became a Fitter for the London and North Western Railway. In 1916 Thomas enlisted with the Motor Transport Depot in the predecessor of the Royal Air Force, the Royal Flying Corps, and became a Sergeant (number 115176). He died on 4 October 1919 and is buried at Wolverhampton Borough Cemetery. Although he died after the war, the fact that he appears on the local roll of honour and is listed on the Commonwealth War Graves Commission site indicates that his death was war-related. He appears on the roll of honour at Wolverhampton Cemetery, and a photograph of his grave (which also includes an inscription to his brother), appears here. Ada Beatrice Barber was born in West Bromwich in 1871. In 1893, she married Walter Thomas Bantock in King’s Norton, and by 1901 they were living at The Foxlands, in Penn. They appeared here together with Ada’s son, Munro Bantock (born in 1899), a visitor, Jessie Payton, and six servants – Sarah Ann Roberts, Hannah Bentley, Nellie Nalley, Selina Dance, Mary Matthews and John Evans. Ada is here listed as “Ann B. Bantock”. They are at the same address in 1911, together with visitor Margaret Duncalfe and servants Sarah Annie Hoxchin, Emily Ludge, Mary Ellen Hay Cox and Florrie Ayers. Her son, Munro, was away at Summer Fields School in Oxford in 1911. From 8 March 1916 until August 1917, she served part-time in the B.R.C.S. Workrooms (presumably British Red Cross Society) in Stafford, and it states in brackets that she was an “Expert”. She does not appear to have had any further children. Ada died in Stroud, in Gloucestershire, in 1953. The son of William and Katie Anker, Harry was born in 1894 in Wolverhampton. In 1901 they were at 82 Cannock Road, together with Harry’s sisters Louisa and Marian. Harry enlisted as a Gunner in the 50th Brigade of the Royal Field Artillery (number 820180). He died on 28 April 1918, by which point his parents were living at 46 Red Cross Street. He is buried at the Lijssenthoek Military Cemetery in Belgium, and is commemorated in the Lady Chapel and on the roll of honour at St Peter’s Church.